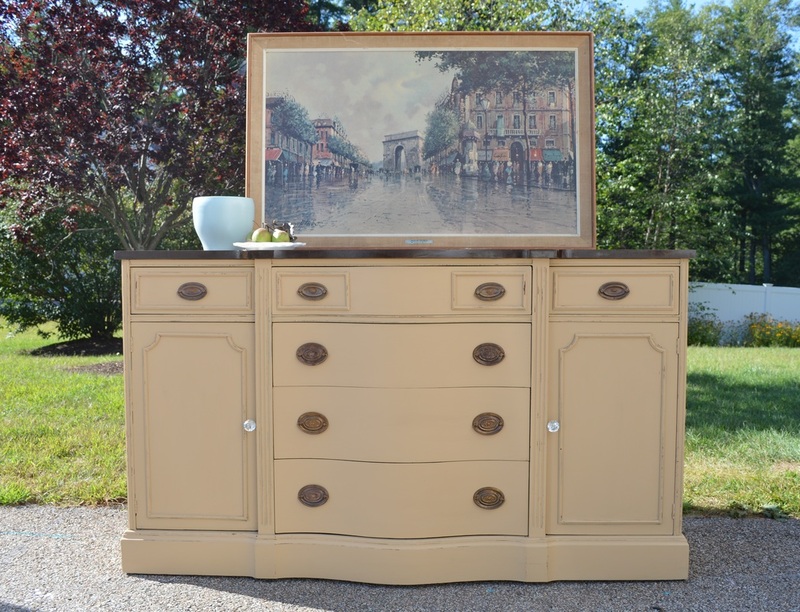 I chose this antique washstand from Design Dreams By Anne. 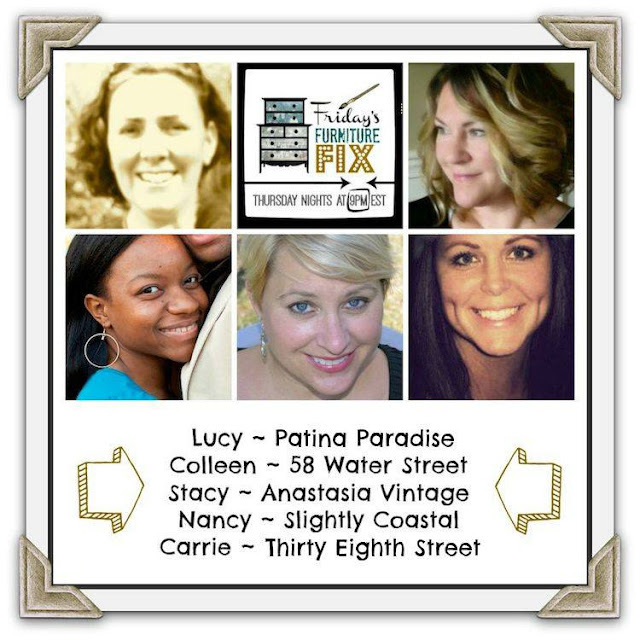 I love a painted piece, but sometimes a make under is in order. After Anne stripped the paint, sanded back to the wood, re-stained, and updated the hardware, we can see the original beauty of the piece. Well done! Lucy from Patina Paradise picked this painted antique desk by ReFind Design. 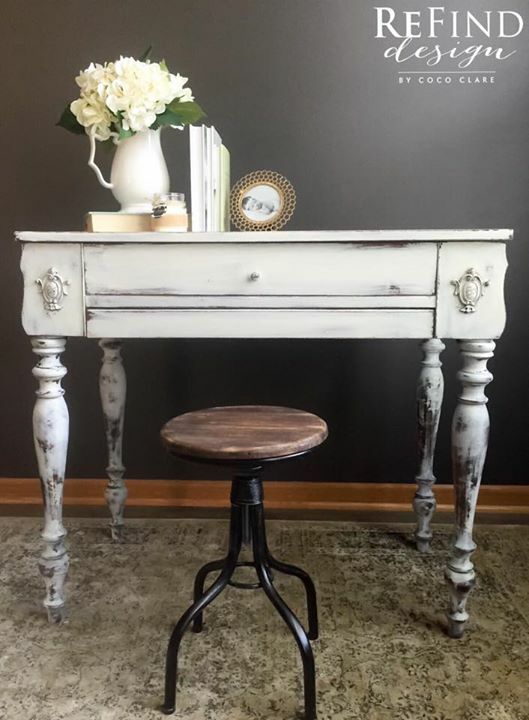 I also love the contrast of the industrial stool with the antique desk. Stacy from Anastasia Vintage chose this dresser by Susan at Gray Table Home. What a gorgeous color! 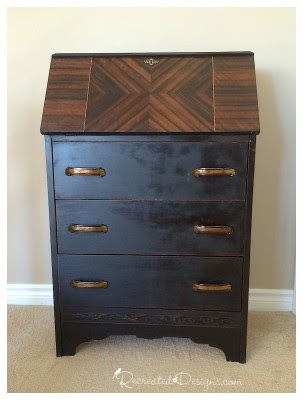 Nancy from Slightly Coastal picked this vintage secretary by Lisa of Recreated Designs. I'm so happy that she saved the beautiful wood design. 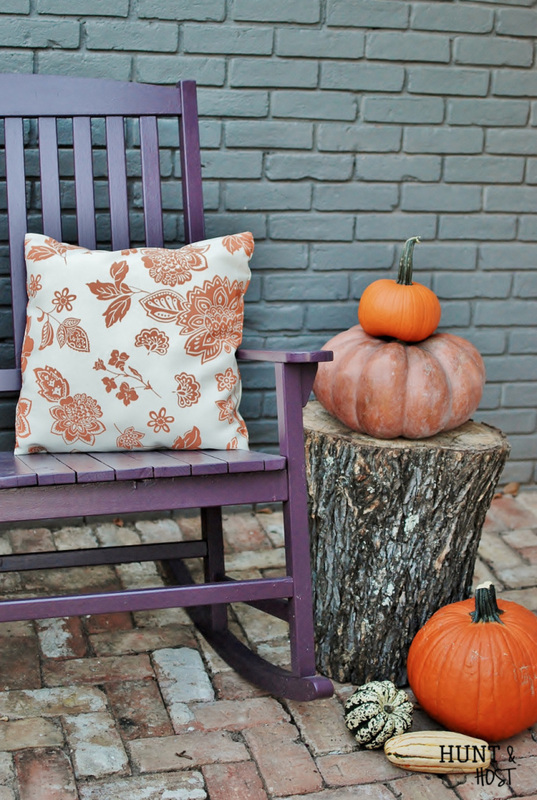 Carrie from Thirty Eighth Street chose this painted rocker by Kim at Hunt and Host. That is the perfect shade of plum for autumn! 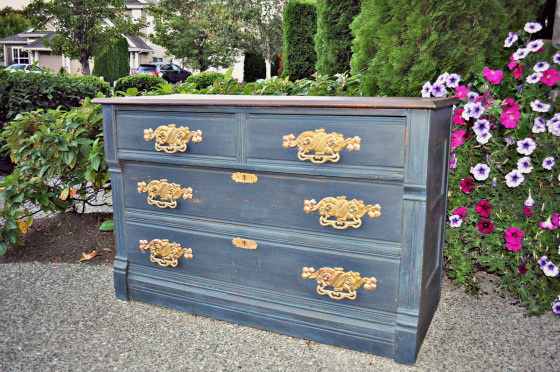 Finally, our most-clicked link was this updated buffet by Kara of Lilac Shack Furniture.